Home News What is High Functioning Alcoholism? We all know the stereotype of the alcoholic who drinks so much they black out in bars; their world falls apart and they lose everything but still have to hit rock bottom before they seek help. That is the image of the alcoholic that is portrayed in the media, but there is another type of alcoholic that is far more difficult to identify and those are people with a condition known as high functioning alcoholism. High functioning alcoholics appear to have everything under control in their lives, they have steady jobs, a family, a nice home and friends that they socialise with regularly but in reality, they are hiding a serious drinking problem. 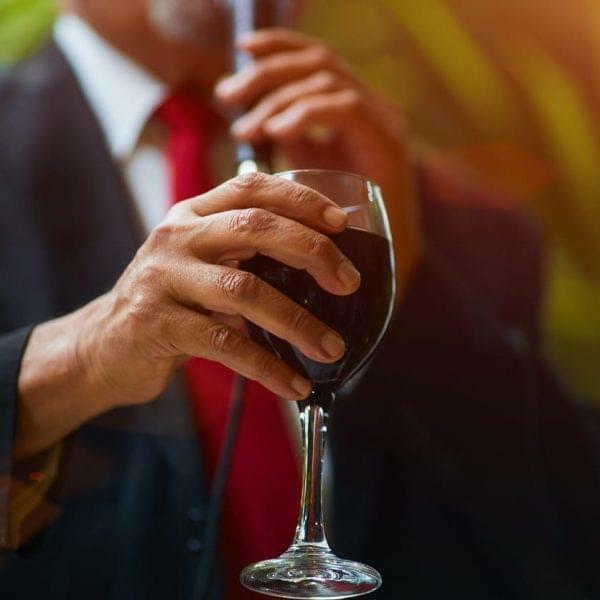 Many functioning alcoholics are extremely successful people who enjoy living the high life, but their lifestyle is masking an alcohol addiction that can go undetected and untreated for years. This basically means that a high functioning alcoholic is someone who can function normally in everyday life, maintaining personal and business relationships despite their alcohol addiction. Because they appear well adjusted, a person suffering from high functioning alcoholism may not be as easy to identify as your stereotypical alcoholic and their symptoms may not be as obvious, but they are still suffering from a disease that causes them to drink compulsively and consume copious amounts of alcohol despite being aware of the legal, social and health risks. Their addiction is every bit as real as that of the deadbeat drunk sitting at the end of the bar drowning his sorrows with cheap vodka. Many functioning alcoholics have a high tolerance for alcohol and can drink moderately during the day, never getting drunk but keeping the cravings and withdrawal symptoms at bay, others might not drink alcoholic beverages at all during the day or in the week but indulge in heavy binge drinking at night or on weekends. Many high functioning alcoholics are genuinely unaware of their alcohol addiction and since they are in control of their lives, and in many cases extremely successful, they don’t see their excessive drinking as a problem. Others think that excessive alcohol consumption and working hard for your success go together and that is why they don’t perceive their alcohol use disorder as problematic. But others suffering from high functioning alcoholism work hard to disguise their problem and keep their lives on track. No matter what excuses a functioning alcoholic uses to justify their continued drinking, alcoholism always has consequences and they will at times experience the negative side effects of alcohol abuse, but it does not prohibit them from functioning in everyday life. They can usually hold it together for many years and the side effects of their addiction may only become apparent much later in life, when the years of alcohol abuse finally take a toll on their bodies, leading to severe health problems as their livers, hearts and brains begin to deteriorate. People suffering from high functioning alcoholism may be able to fool themselves, their friends and family members into believing that they are doing well but that is just not the case. No matter how good they are disguising their symptoms and the amount of alcohol they consume, they are still addicts with a substance abuse problem. Often their addiction is as serious as a down and out alcoholics and, even though they won’t admit it, their alcohol use disorder will have a severe effect on their physical and mental health but if there is no pressure on them to get treatment, they won’t stop drinking. Often family members and friends make excuses for high functioning alcoholics, especially if they are successful, and this makes it easier for them to live in denial. Some even convince themselves that drinking is a job requirement or that it is an entitlement that goes along with their success. But no matter how you dress it up, alcohol abuse is a serious problem with long term consequences and because high functioning alcoholics are so good at hiding their drinking, they may suffer from severe physical and mental health issues before their addiction is diagnosed. Alcohol and drug addiction can affect anyone, in any strata of society. It is not restricted to an economic or social class and even the most successful people in the world are not immune to addiction and excessive alcohol consumption. Many alcoholics refuse to seek treatment until they hit rock bottom, but high functioning alcoholics often don’t reach that point. Even when they do realise that they have a problem they refuse to seek treatment because of the stigma attached to substance abuse and they are concerned about their reputation. Unfortunately, this is a very real concern as there will be people who judge them harshly, but the reality is that if an alcoholic does receive treatment, it is not only their reputation that will suffer in the long term. If left untreated alcohol addiction will eventually have a negative effect on their entire lives. The first step on the path to recovery is admitting that there is a problem. Unfortunately, this is one of the hardest steps to take as many people with alcohol use disorder continue to live in denial until something drastic happens. Alcoholism is a progressive disease and without intervention or counselling there will eventually be serious consequences and it is typically only a matter of time before a functioning alcoholic becoming a non-functioning alcoholic, leading to trouble at home, issues at work and perhaps even legal problems. Once an alcoholic admits they have a problem, there are a number of treatment options available to them. They can attend AA meetings, outpatient treatment programs, counselling sessions with an addiction counsellor or they can enter a rehab facility where they will be given the tools and skills aid their recovery. If you think that you, or someone close to you, has an alcohol problem you need to seek help as soon as possible. With support and perseverance, alcohol recovery is possible. Posted on Thursday, March 28th, 2019 at 5:18 pm in Alcohol Addiction, Latest News, Relationships.